Saskatchewan is a distant and little known province. The Kisiskatchewanisipi River, thus named long ago by the Indian Cree tribe, gave this province, situated in the middle of Canada, bordering Alberta, Manitoba and the Northwest Territories, its unpronounceable name. Established at the end of the 19th century, it is one of the largest provinces but has a low population density per mi2, 0.7 to be exact. 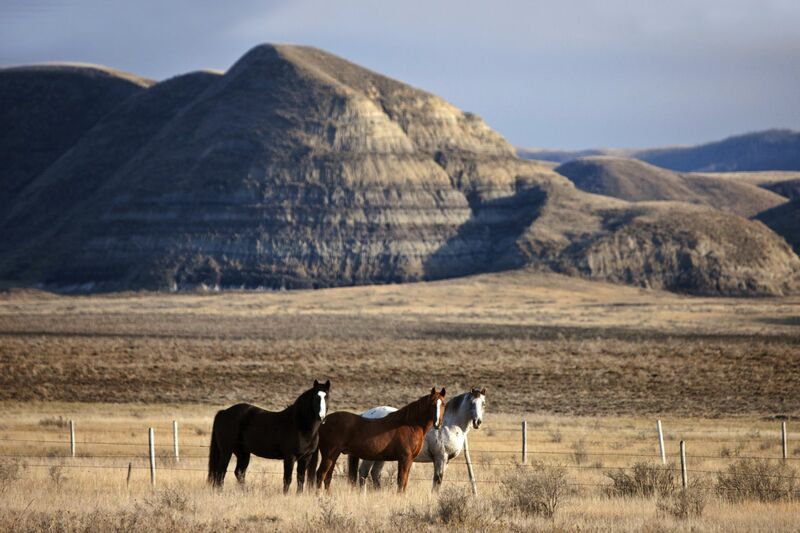 Adventurers and nature lovers come to Saskatchewan for its national parks, its isolated camping areas in the middle of nature, its '100,000 lakes', its boreal forests, and its endless roads where the only company are the wheat fields that stretch out as far as the eye can see. 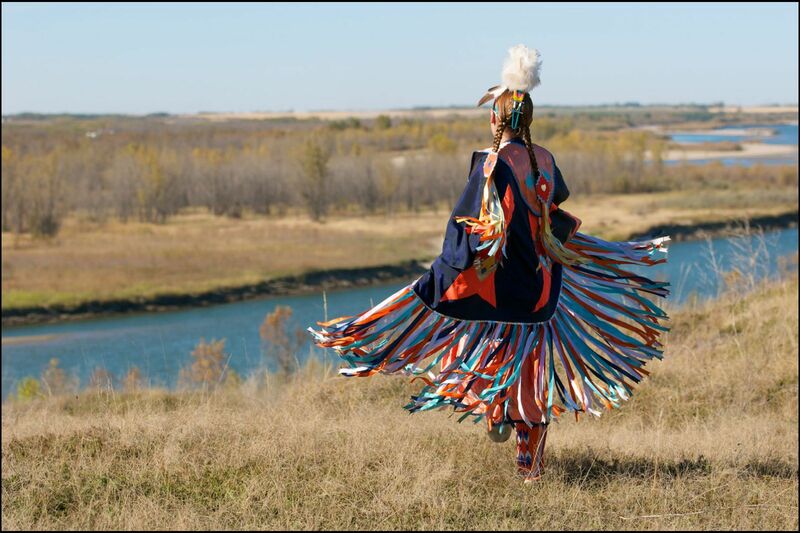 Travellers can cross the reserves home to the Indian Athapascan, Algonquins and Sioux tribes, and visit sites such as the Tunnels of Moose Jaw or the Royal Canadian Mounted Police Heritage Centre, where you can discover the history of the famous 'Mounties', a testament to an ever present past. We recommend you plan your trip for the fall to be able to see the breathtaking scenery when the valleys in the south of the province change colour and the waterfowl migrate in their thousands. However, Saskatchewan is an attractive destination in the summer as well, offering plenty of hiking opportunities and water sports thanks to the region's many lakes. Make sure not to spend too much time in the sun and use sunscreen, as the province gets the most sunshine on average. Saskatchewan doesn't lose its charm in winter, with its frozen lakes and snow covered plains. You'll need to plan your trip to Saskatchewan in advance, as it's certainly not the type of destination you choose for last minute holidays. After the thirty hour journey, it's not just a question of visiting the two main cities. For example, if you decide to travel on Canada's largest road network you'll need to request an international driving licence before leaving, as the process can take several days or even weeks. Fortunately, this is one of the only formalities, as British citizens don't need a visa to visit Canada. Be aware, however, that if you have a stopover or transfer in the USA you'll need to register under the Electronic System for Travel Authorization before flying. One last thing, don't forget to pack an adapter. +The sheer size and the nature in all its splendour, without being too disturbed by tourists. As it is far from the sea and the ocean, Saskatchewan has a continental climate with four distinct seasons. With cold winters and dry hot summers, the differences in temperature can easily reach 65°C. Saskatchewan holds many weather records. For example, the city of Estevan in the southeast is the sunniest place in Canada, with around 2,540 hours of sunlight per year; the towns of Midale and Yellow Grass recorded the highest temperature ever when the thermometer reached 45°C in the summer of 1937; while Regina is one of the three cities in Canada to have ever recorded more than 12 inches of snow in one day. With this extreme climate that varies with the seasons, make sure to check the weather before leaving and pack accordingly! The big cities all have large commercial centres, like Midtown Plaza in Saskatoon and Cornwall Centre in Regina. Away from the wilderness, you'll find supermarkets, restaurants, clothes stores and banks. If you want to blend in with the locals, remember that the people in the small towns in the centre of the province all meet at the General Store, where you will find all the basic necessities! For those who are fond of souvenirs, head to the small shops or the markets to find unique locally made items to take back for family or friends.